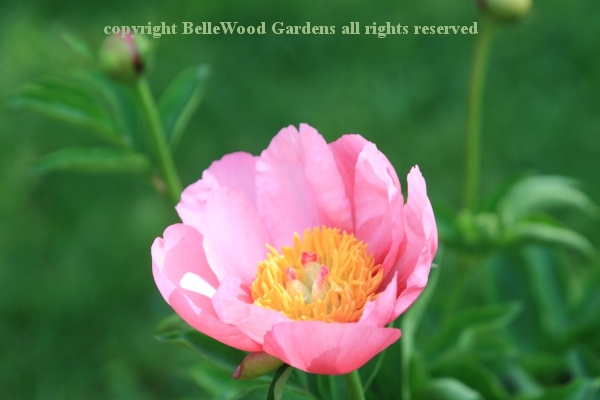 the earliest peonies are in flower. I must stop. 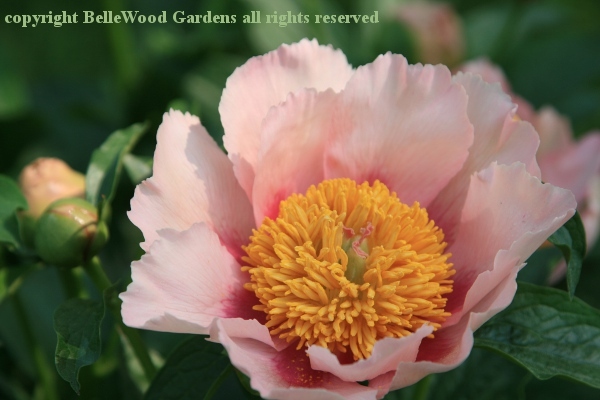 and nearby, 'Athena' has petals blushing pink at the base. 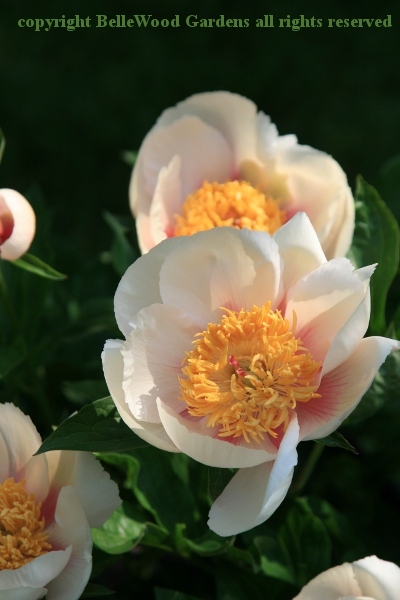 Pale pink 'Golden Frolic' also has a darker blush near its golden stamens. but Pepto-Bismol is worse. Maybe Easter egg pink . . . Agreed? 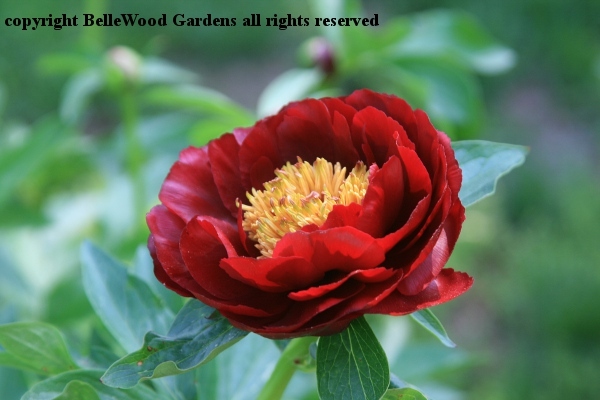 'John Harvard' is an admirable peony, variable from single to almost double. 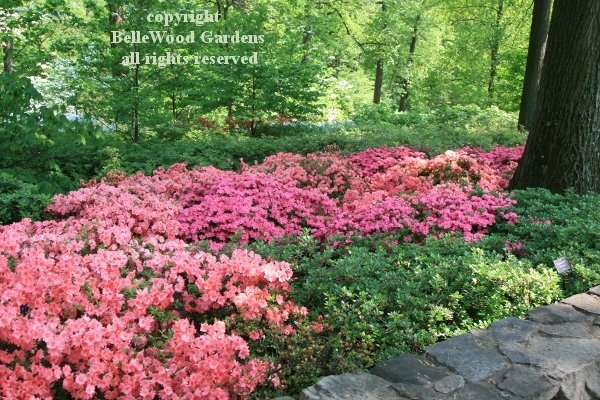 the azaleas will be in peak bloom. I must visit them before I go home. 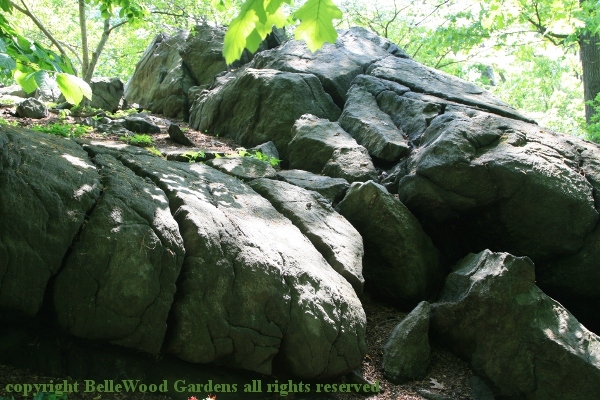 The Azalea Garden was created on a glacial outcrop. 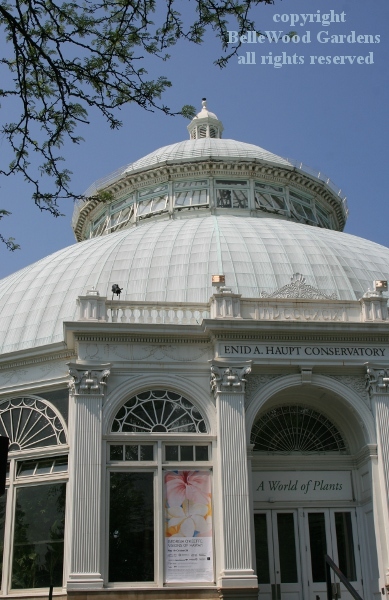 A gently sloping path takes visitors up and around and back down on nearly a mile of woodland paths that meander through a collection of 3,000 azaleas and rhododendrons from around the world. 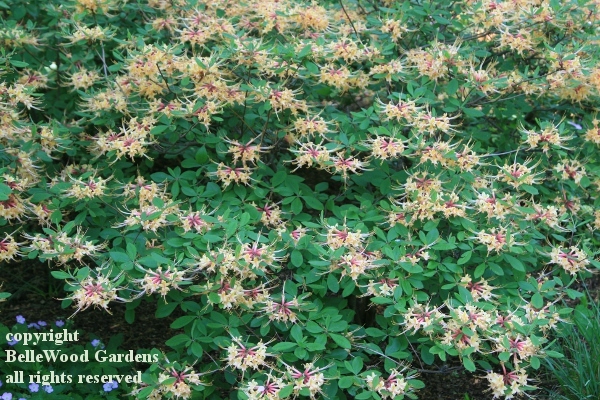 They are planted beneath the canopy of ancient native oaks, tulip trees, and sweetgums. 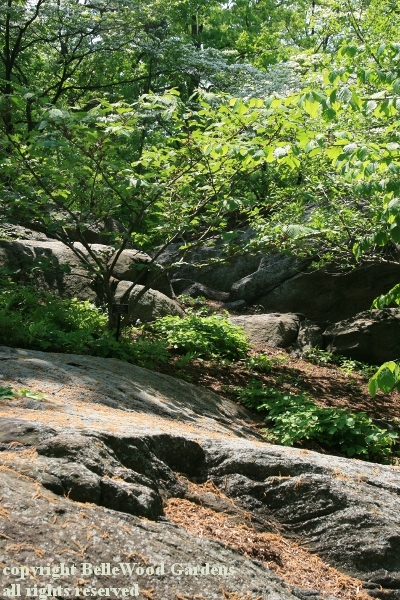 There are understory trees such as dogwoods. A sunny, more open area at the top, then some gentle flights of steps down, and back to the entrance. 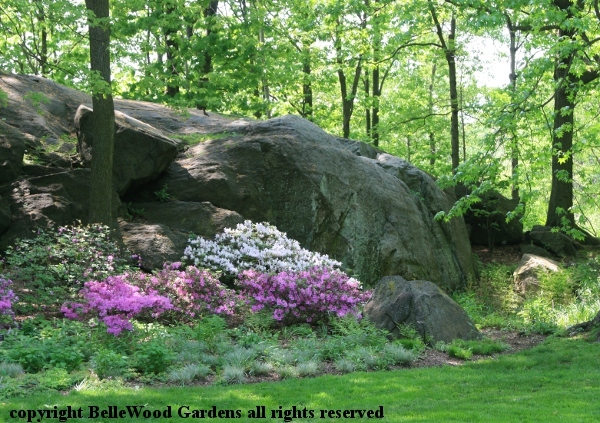 Perennials embellish the woody plants - hosta, ornamental grasses, Japanese Jack-in-the-pulpits, gentians, and more. Difficult to imagine that once upon a time the ground where I stand was covered by the Wisconsin Ice Sheet, 1,000 feet thick. As the advancing glacier dragged rocks over the surface it smoothed the bedrock and left glacial grooves and striations. 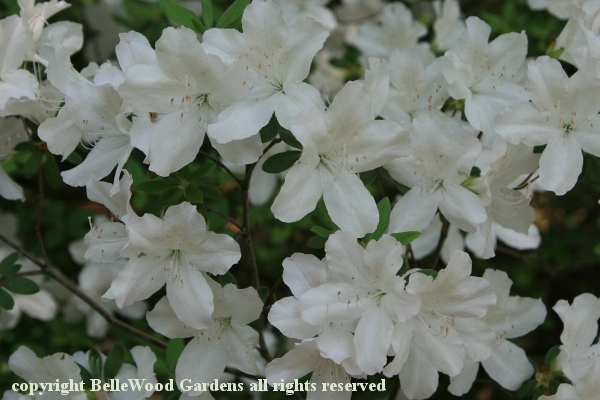 The azaleas are in such full, perfect bloom that leaves cannot be seen. What colors! Pink, fuchsia, lavender, picotee, the petals tipped with color. Clean pure white. Flowers, not snow drifts. 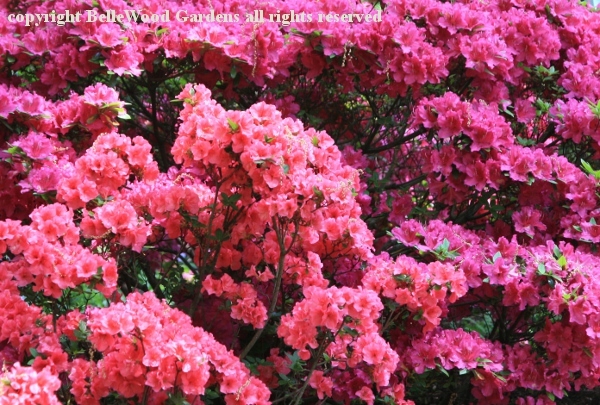 All azaleas are, technically, Rhododendrons. 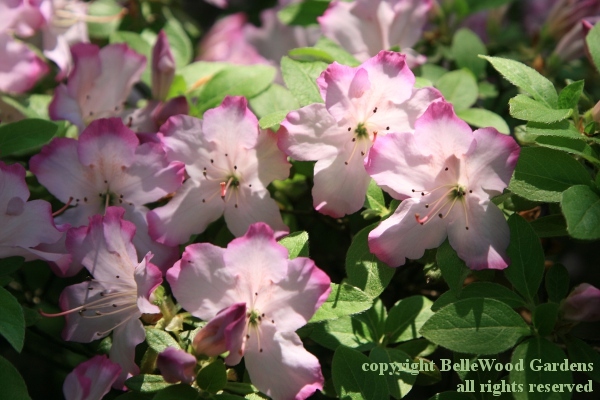 But not all rhododendrons are azaleas. 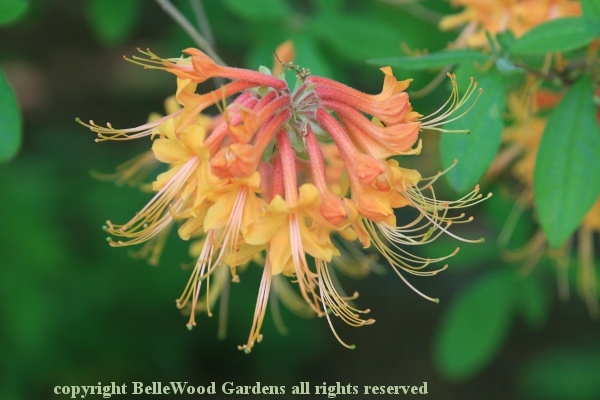 Azaleas have flowers with 5 stamens, Rhododendron flowers have 10. Flower color has nothing to do with it. 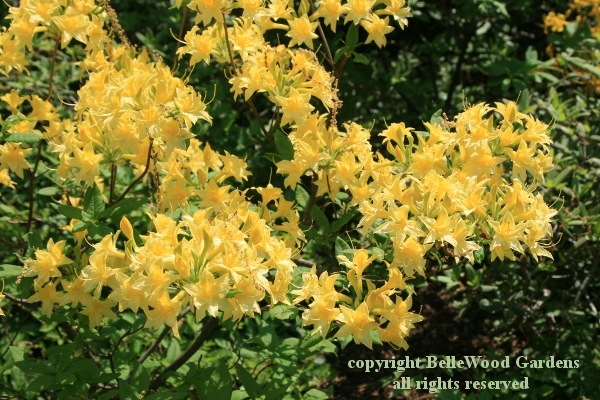 this sweetly fragrant hose-in-hose Rhododendron 'Narcissiflorum'. yellow flowers, darker rose red at the base, stamens like antennae. 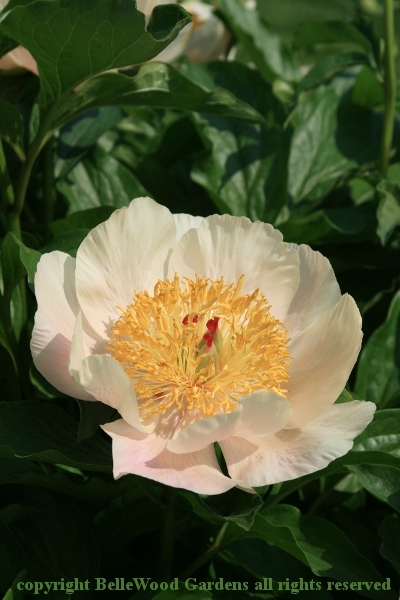 There is a paler, cream and raspberry, cultivar, R. austrinum 'Minnie Mac'. and azaleas in perfect bloom against a backdrop of glacial outcrops.